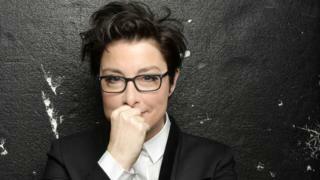 Sue Perkins is to host 2017’s TV Bafta Awards, taking the reins from Graham Norton, who will have been presenting the Eurovision Song Contest in Ukraine. The Baftas are a day after Eurovision. 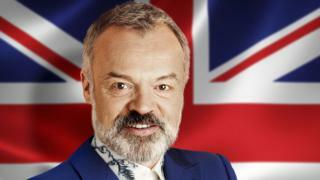 They will be broadcast on BBC One on 14 May from London’s Royal Festival Hall, while Eurovision is taking place on 13 May in Kiev’s International Exhibition Centre Arena. Perkins added they were “a superbly fun night and an opportunity to celebrate the incredible British talent we have behind our very best TV programmes”. She is best-known for fronting the BBC’s The Great British Bake Off and Let’s Sing and Dance for Comic Relief with Mel Giedroyc, as well as Sky Atlantic’s Game of Thrones fan-show Thronecast. She has just finished touring the UK with her stand up show Spectacles, based on her Sunday Times bestselling memoir. Last year’s TV Baftas saw a double win for Wolf Hall, along with This is England ’90 and Peter Kay’s Car Share. Clare Brown, Baftas’s director of production, said: “Sue is a hugely talented presenter, comedian and writer who is much loved by the British public.